Liveright Publishing Corporation, 9780871401526, 1136pp. 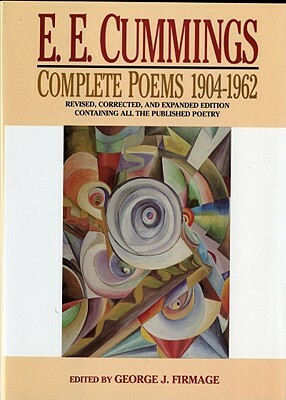 At the time of his death in 1962, E. E. Cummings was, next to Robert Frost, the most widely read poet in America. Combining Thoreau's controlled belligerence with the brash abandon of an uninhibited bohemian, Cummings, together with Pound, Eliot, and William Carlos Williams, helped bring about the twentieth-century revolution in literary expression. He is recognized on the one hand as the author of some of the most beautiful lyric poems written in the English language, and on the other as one of the most inventive American poets of his time--in the worlds of Richard Kostelanetz, "the major American poet of the middle-twentieth-century.